It was a typical Edinburgh afternoon, full of blustery wind, cold rain, and fleeting sunshine when nineteen of us met at the Mercat Cross in the Lawnmarket for an afternoon of visits to some of Edinburgh’s most unique libraries. We began our afternoon with a visit to the nearby Supreme Courts Library. The Library Services Manager Jennifer Findlay gave us a tour of the space, spoke about the work of the Supreme Courts Library, and showcased some of their more unique holdings. We were treated to legislative documents concerning the crime of Witchcraft, examples of beautiful hand painted endpage artwork, evidence items from past historic cases, and other interesting curios. 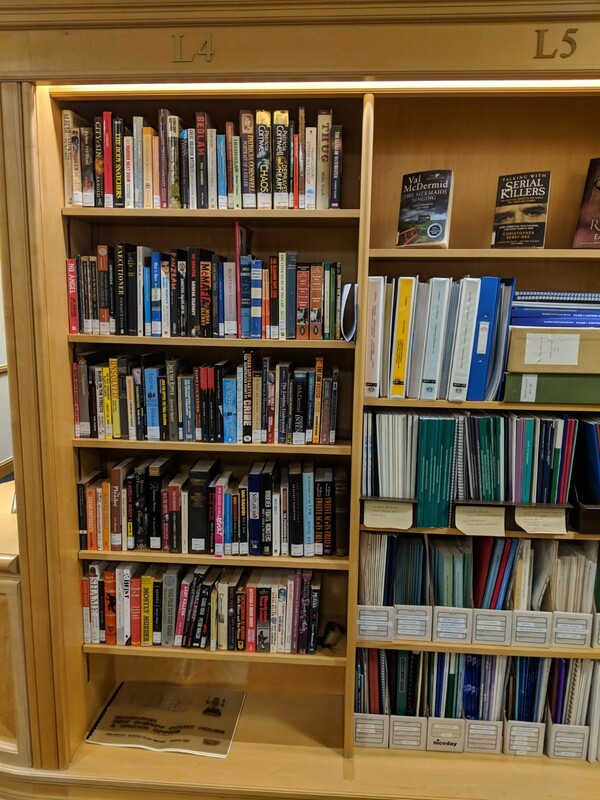 We also heard about the work the library staff had undertaken to develop a bespoke classification system and completely reorganise and reshelve the entire collection in an effort to make it easier to navigate and access. 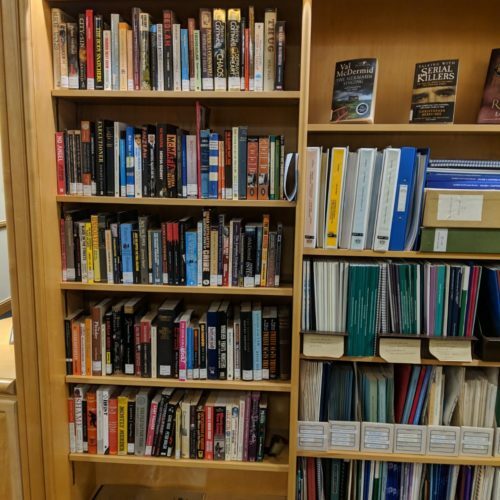 One area I found surprising was the lack of IT skills among some library users and the technological constraints of working within Scottish Government infrastructure. I felt grateful to be working in a service where technology is a thing to be celebrated, rather than controlled. 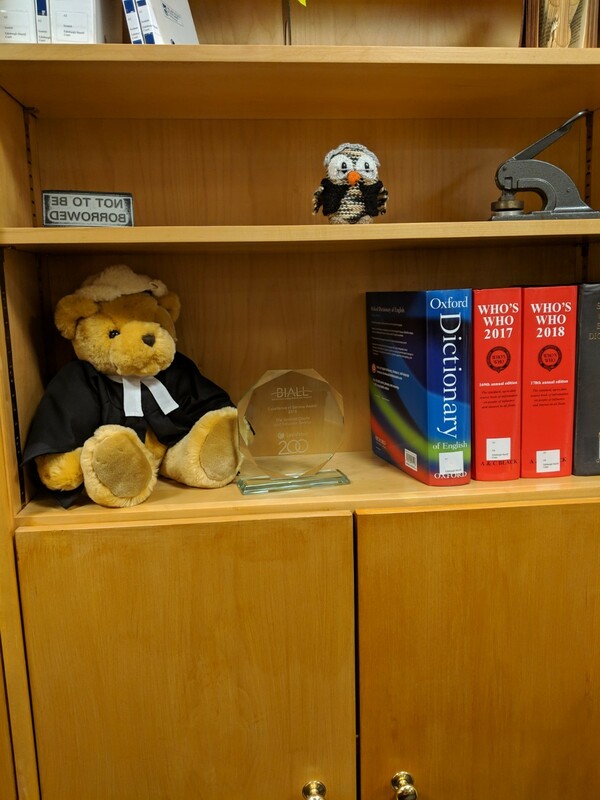 After a short walk down George IV Bridge, we arrived at the Sheriff Courts Library where we were greeted by Sheriff Courts Librarian Julie McGregor and Sheriff Courts Assistant Librarian Sarah Head. 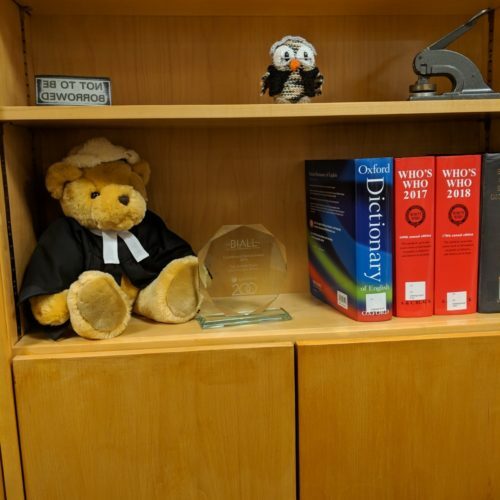 The Sheriff Courts Library was established only two years ago in response to the growing costs of providing disparate library services to some 39 Sheriff Courts. Julie told us how amongst them, the team had travelled over 8,000 miles in 18 months, and had handled over 50,000 items in small collections in courts all over Scotland. 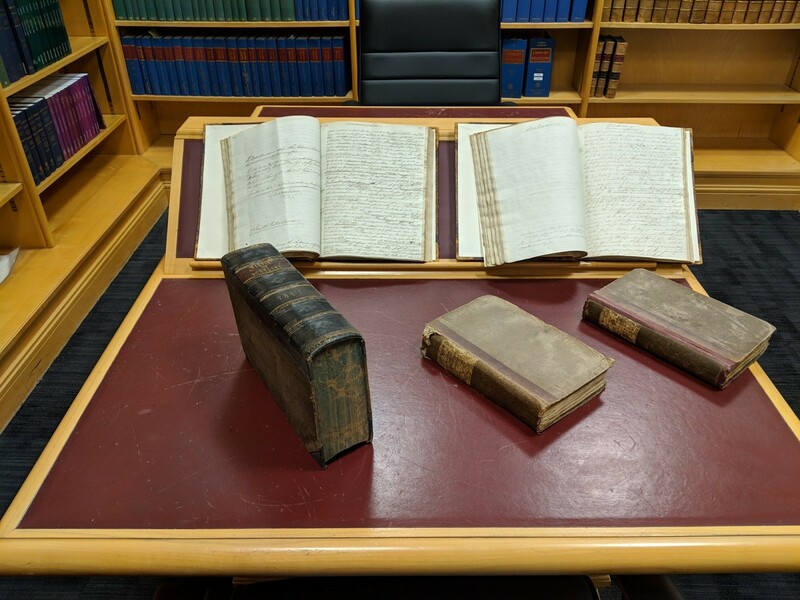 Not to be outdone by the Supreme Courts Library we were also shown some treasures from the Sheriff Courts Library collection. 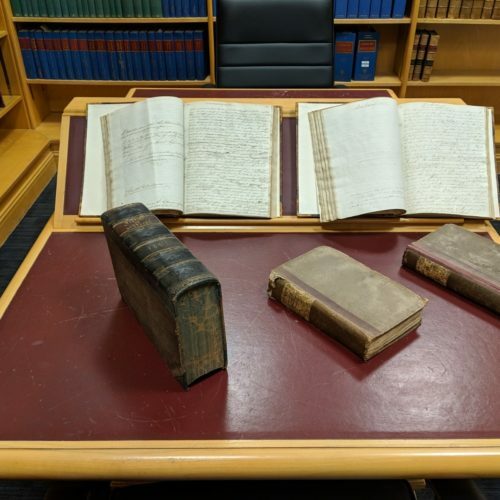 These included original publications concerning the trials of Burke and Hare, documents from the Lockerbie Bombing, and a beautiful but very unusual example of the Talmud. I enjoyed learning about the efforts of the Library staff to include fiction and leisure reading material alongside important legal texts. Everyone likes a good book, Sheriff’s included. We then walked across the mound and into Old Town, where we stopped briefly for sustenance before continuing on to The Library of Mistakes. 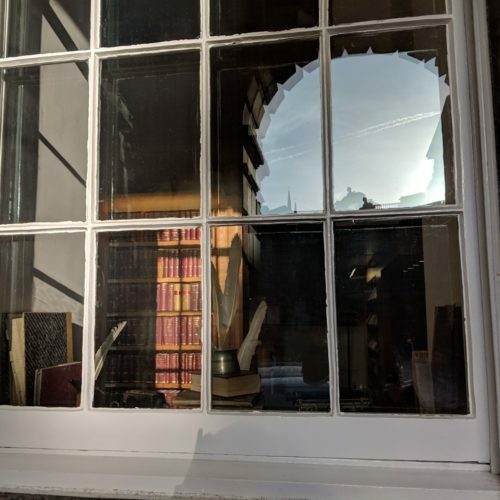 As Keeper of the Library of Mistakes Russell Napier, and Librarian Helen Williams explained to us, the intriguingly named library is concerned with business and finance history. Russell told us how the collection began as a donation from Stewart Hamilton, professor of accounting and finance and has expanded since. 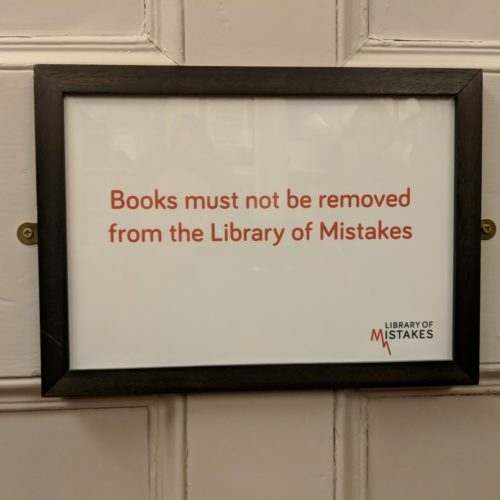 Helen explained that the books had been classified based on a bespoke system used at the London Library. We also heard about plans for collection development and expansion (both into the next room, as well as internationally) as well as the programme of lectures and events open to members. 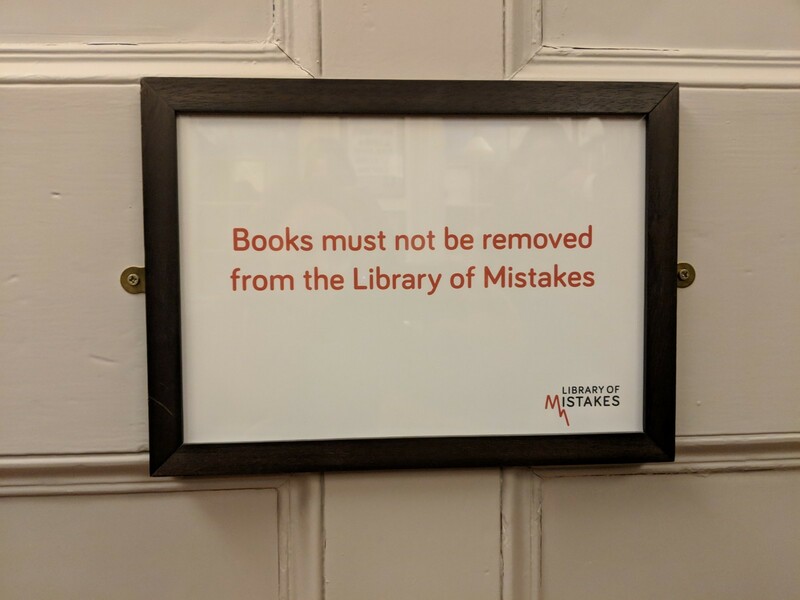 I was amused to learn that the cheapest book Helen has purchased for The Library of Mistakes so far is The Art of the Deal, at 71p. 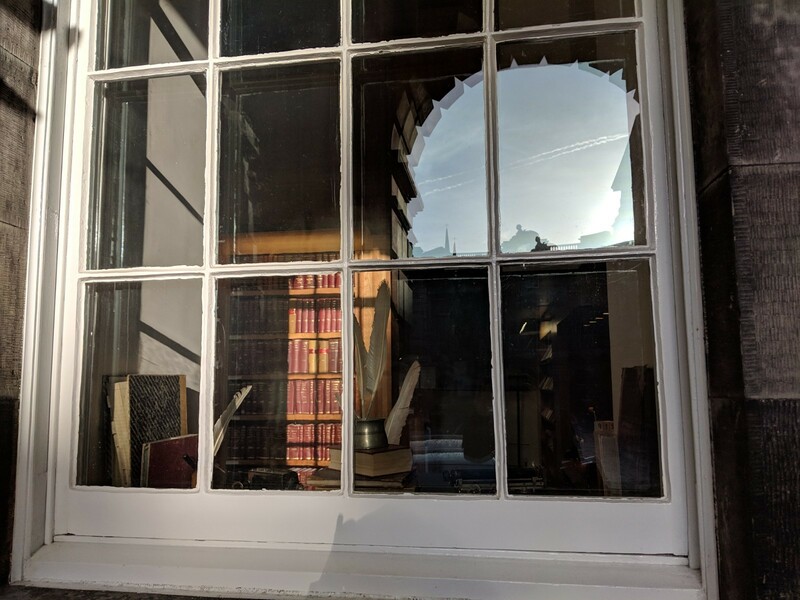 For information on future visits organised by the Academic and Research Libraries Group Scotland, join our mailing list or follow us on Twitter.